Rich Hickey - Inside Transducers. (on implementation of transducers) Nov 20, 2014. * means 0 or more. + means 1 or more. & some means 0 or more args. what happens when you use “sort” on a map data type? def can be used without value, that is, just declare. get expression, send to Clojure to eval. turn X into JSON and send to browser. browser turn this into DOM. this function gorilla-renderable.core/render is the main one. Like pr for repl, but for gorilla-repl. edn is “extensible data notation”. Any programing tutorial that mention patterns, agile, idioms, koan, ninja, zen, tao, monk, cartoons, mentions of Martin Fowler, needs to be garbage collected. string manipulation is the most important element in modern programing. This is the first thing you teach to beginners, about any language. But with Clojure, it's not core part of the language. You need to load it as a lib, or, goto Java's string stuff. Try to tell it to beginners. You either face the clojure namespace complexity, or dealing with one bag of the Java interoperation complexity. PS: actually, just prefix the namespace. For example, (clojure.string/upper-case "xyz"). But, that's not all. The MOST annoying thing is that, you actually need to know a lot about stinking Java in order to do any real world work with Clojure. (don't let any hacker type fanatics tell you otherwise) You need to know Java class/object system, its package system, its namespace scheme, Java Virtual Machine system, its compilation cycle, its tools and achive files. Even the official Clojure documentation, outright simply say things like “returns a Java xyz object.” with no further explanation, in lots of places. it is not to be taken lightly, that when you learn Clojure, you actally need to gradually understand a lot about Java ecosystem too. but at least, thank god, it's a lisp that has industrial value, and is a Java replacement. A clojure parser lib, instaparse: https://github.com/Engelberg/instaparse, seems to be the topnotch parser. Instaparse is written by Mark Engelberg. It has excellent tutorial too. Clear, to the point. 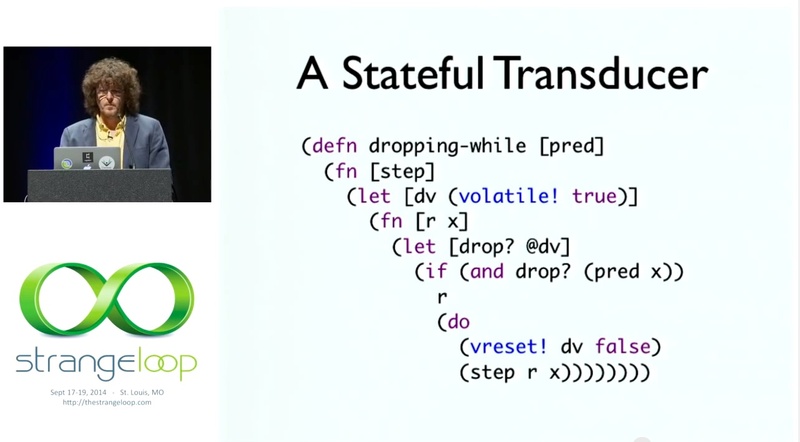 so far i've seen, clojure community's doc is top-notch. The official documentation is excellent. The lib/build manager Leiningen's documentation is excellent. [see Clojure Leiningen Tutorial] And now the instaparse documentation is excellent. it appears, a language's community pretty much follows the style of its leader. In this case, it's Rich Hickey. You can see Hickey's writings, his documentation style, in several essays titled “Reference Documentation” at http://clojure.org/documentation. They are, concise, to the point. meanwhile, python's documentation are pretentious garbage, following Guido's style. Here's a typical one: Python, Lambda, Guido: is Language Design Just Solving Puzzles?. Clojure doc need cross-links, and example for some functions. 3rd party docs notwithstanding. For example, reading about some->, what the hell is “thread”? no link to ->, and no example. Clojure Tutorial. While persistence can be achieved by simple copying, this is inefficient in CPU and RAM usage, because most operations make only small changes to a data structure. A better method is to exploit the similarity between the new and old versions to share structure between them, such as using the same subtree in a number of tree structures. However, because it rapidly becomes infeasible to determine how many previous versions share which parts of the structure, and because it is often desirable to discard old versions, this necessitates an environment with garbage collection. Clojure is one big copy of Wolfram Language (aka Mathematica), even down to many function names (those sequence functions). Of course, it is a inferior copy. It provides a cleaned up lisp macros, but no comprehensive term-rewriting system called pattern matching. Its syntax is nested structure, but not the source code file. Mathematica, the entire source code file (notebook) is one sexp, and can be programed. Clojure now does fractions and infinite precision arithemitcs automatically, but lacks the thousands functions for doing math, such as integration, derivative, Solve equations, matrix, ….